Merry Christmas! I love the sisterly love in the blooper video. "I wonder if the feathers miss flying" LMAO Priceless - thank you two for the laughs! Merry Christmas! Merry christmas and I am keeping you and your fam in prayer! Always love your vids, even the goofy ones! Have a holly jolly Christmas Kandee & family! Hugs from a not-so-snowy Denver! Merry Christmas, sweet Kandee! 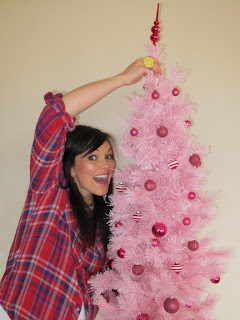 I love your pink X-mas tree!! Hey Kandee! I love your tree! I spread the good news about the brushes on my blog! Hope that's okay! I just had to share it with my other fashionista friends! I've had a VERY difficult year, I thank you for the love, lightness and laughter, it brightens my day and brings a smile, which makes everyone more lovely. Pinky tree, lol, how much fun! Thanks for sharing your sparkles! I loved the video! Can't wait how the rest of it will be. 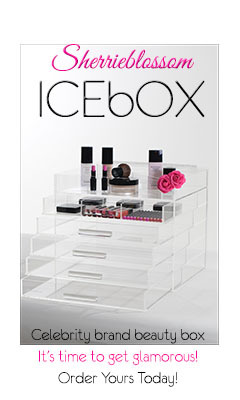 Will you be doing christmas/new years make up?? Merry Christmas Kandee! Have a great holiday. Hope ur day is wonderful and keep a smile on. Health and prosperity for you! I can't say more than anyone here so.. Merry Christmas Kandee !! and Merry Christmas everyone !!!! I had a super lousy day to go on top of a super lousy week but your blooper vid with your sister made me laugh so hard. Thanks for sharing and making my Christmas day a little brighter. I hope you and your entire family had a wonderful Christmas day! Thanks for sharing. I really LOVE your videos. Love and MERRY CHRISTMAS from Spain. kandee, you and your sister are so funny. i love all your videos. i try to keep up on your new videos the best i can. your videos have helped me with alot of things. I love your blog and your make-up tutorials are amazing. I watched one a couple weeks ago and have been using your tips throughout the holiday season! Thank you so much!! Hope you had a very merry christmas! U two crack me up! Makes me wish I had a sister or that my sister in-laws were closer geography wise! Happy Holidays Kandee, and we love your videos. I think it's great to see you laughing and having fun! You are a very hard worker and it's fun to see you let loose with your sis! I ADORE the pink tree! Your sister is a riot! I am loving the pink Christmas tree. Sending hugs and love right back. God bless you and youre family. LOL, i loved this video. The laughter and joking around is great. And of course i love the pink tree. I got a hello kitty purse just like yours for christmas!!! But mine is the black and hot pink one. I love it!!!!! Thanks so much for recommending it. Best wishes, happy holidays, and have and amazing end & beginning to the year!! !